Given the confluence of current events, late-night comedy television ratings are sky rocketing and stand-up comedy performances are proliferating on OTT and in comedy clubs. Female comedians have a powerful role in shifting cultural perceptions. Their humanity, insights and humor are inspiring hope and action. On June 6th, we’re bringing together female comedians and writers for an exclusive night of stand-up comedy, storytelling and empowerment. Our program will spark new perspectives on the role of humor in today’s world. Justine steers our creative team in New York by advocating for radical creativity and pushing our team to modernize and transform our brand partners’ business. As one of Australia’s most-lauded female creatives, Justine has worked in Brisbane, Sydney, Portland and now, Brooklyn. She continually produces campaigns that connect brands to cultural conversations ranging from mom judgment, gender roles and equal pay, to name a few. Having previously helped reinvent brands like Old Spice, Secret, Chrysler and Dodge, she currently leads our General Mills team including Cheerios and Nature Valley, Seventh Generation, our Diageo team on Smirnoff, and new business. Her free time is spent seeing every film, experimental noise event and art show in NYC, reading feminist literature, going to comedy shows, and being a dog-parent to Beaker the Pomeranian. Anna is a comedian and writer for Saturday Night Live. She’s the editor-at-large of Reductress and co-author of the books How to Win at Feminism (HarperCollins, 2016) and How May We Hate You? (Potter Style, 2016), which was optioned by CBS. She performs regularly at the Upright Citizens Brigade Theater, The PIT, and Union Hall. She has written for Cracked, MTV, Thought Catalog, Nylon, the Daily Dot, and has been featured in videos on CollegeHumor, Above Average, Buzzfeed, and Funny or Die. Joyelle brings joy to the stage. As an adult, she prides herself on being the nerd she was ashamed of growing up. Subsequently, her writing includes an extensive vocabulary (that had her shunned by lesser mortals as a child) combined with a worldly perspective (due to her inability to sit still). Honored to be a reliable opener, her comedic dream came true when she was asked by her idol, Dave Chappelle, to open for him in Little Rock and Atlanta. She’s featured the most for Hannibal Buress and her largest audience to date was opening for Russell Peters at the Borgata Casino. Touring with Maria Bamford even garnered her an honorable mention in the failing New York Times and a review by The Laugh Button. Highlights of her career include being chosen as a semi-finalist in Vancouver for NBC’s Stand Up for Diversity showcase which lead to NBC flying her to LA to perform as a top 10 finalist in the competition. From performing at festivals like Sketchfest, Bonnaroo and Bumbershoot, to making her television debut on Wyatt Cenac’s Night Trainfor SeeSo, Joyelle has a lot to look forward to with this track record. Time Out NY told everyone why they loved her. At the close of the incessant depression that was 2016 she reached comedy mecca becoming a regular at the world famous Comedy Cellar. Performing at every comic’s fantasy venue spawned another article from the failing New York Times. Presently, she’s on tour with Lizz Winstead’s Lady Parts Justice League making her dream come true combining comedy and activism. Joyelle’s comedic trinity considers George Carlin the father, Dave Chappelle the son, and Chris Rock the Holy Ghost. Comedy is her religion, and healing people through laughter renews her faith every time she hits a stage both urban and mainstream alike. Co-creator and original Show Runner of The Daily Show, President of Mad Cow Productions. Madeleine Smithberg earned 2001 Peabody and Emmy Awards, and two other Emmy nominations, for Comedy Central’s The Daily Show with Jon Stewart, which she co-created and ran as executive producer for seven years. During her tenure, she was directly responsible for the hiring/casting of performers such as Jon Stewart, Stephen Colbert, Steve Carell, Ed Helms, and Rob Corddry, Mo Rocca, Lewis Black, among others. She served as producer/show-runner for The Daily Show forerunner, The Jon Stewart Show, on MTV and later in syndication. 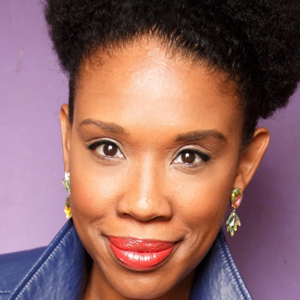 She also brought her skills as executive producer and writer of The WB comedy/variety show Steve Harvey’s Big Time. She spent six years as a talent coordinator, then producer, for NBC’s original Late Night with David Letterman after beginning her career as a field producer for RAI Radiotelevisione Italiana (Italian national television). With her production company, Mad Cow Productions, Smithberg has developed and produced interesting and intelligent comedy projects for a wide range of networks including HISTORY, [adult swim], TBS, Fox, BLOOMBERG TV, BET, Nickelodeon, CNN, TV Land, and SHOWTIME. She created and launched a successful news franchise, “INFOmania,” for Al Gore’s CURRENT TV, and recently earned an NAACP Image Award nomination for the BET late night show, Don’t Sleep! Hosted by T.J. Holmes. Madeleine has a wide roster of comedy projects in development for multiple platforms. She lives in Los Angeles, CA with a large golden retriever mix and an even larger 17 year old son.